Collection of mostly unheard tracks from the R&B, gospel and Broadway icon! Carl Hall’s four-octave range first came into prominence on the gospel sides he cut in the 1950s for labels like Vee-Jay and Savoy. His later acting work on Broadway (Inner City, The Wiz, and Truly Blessed: A Musical Celebration Of Mahalia Jackson) and in the film version of Hair was renowned. But, it’s the soul sides he cut for the Loma and Atlantic labels, with producer Jerry Ragovoy, that are truly sought after. You Don’t Know Nothing About Love: The Loma/Atlantic Recordings 1967-1972 not only fills that need, but delivers in spectacular fashion. This 19-track CD collects the singles form this area and adds an astonishing 13 previously unissued tracks, brand new to soul collectors, who have up until now, only had the aforementioned single sides issued on the original 45s. In addition to the title track, “I Don’t Wanna Be (Your Used To Be),” and his take on Jefferson Airplane’s “Somebody To Love” (re-titled “Need Somebody To Love” for Hall’s version) You Don’t Know Nothing About Love gathers unreleased versions of hits from The Beatles (“The Long And Winding Road”), Broadway’s Stop The World – I Want To Get Off (“What Kind Of Fool Am I”)… and even The Rolling Stones, who themselves had a hit with their cover of Ragovoy’s “Time Is On My Side,” represented here in a pair of unissued versions. You Don’t Know Nothing About Love acts as both a primer and a definitive statement on Hall’s six years under the Warner Bros. umbrella. The mystery of why so much of this music lingered in the vaults for so many decades and a historical overview of both Hall’s and his colleagues’ careers are brought to life via an essay from journalist Bill Dahl. Omnivore Recordings is proud to present yet another set of recording that have been talked about, but few have had the pleasure of hearing. 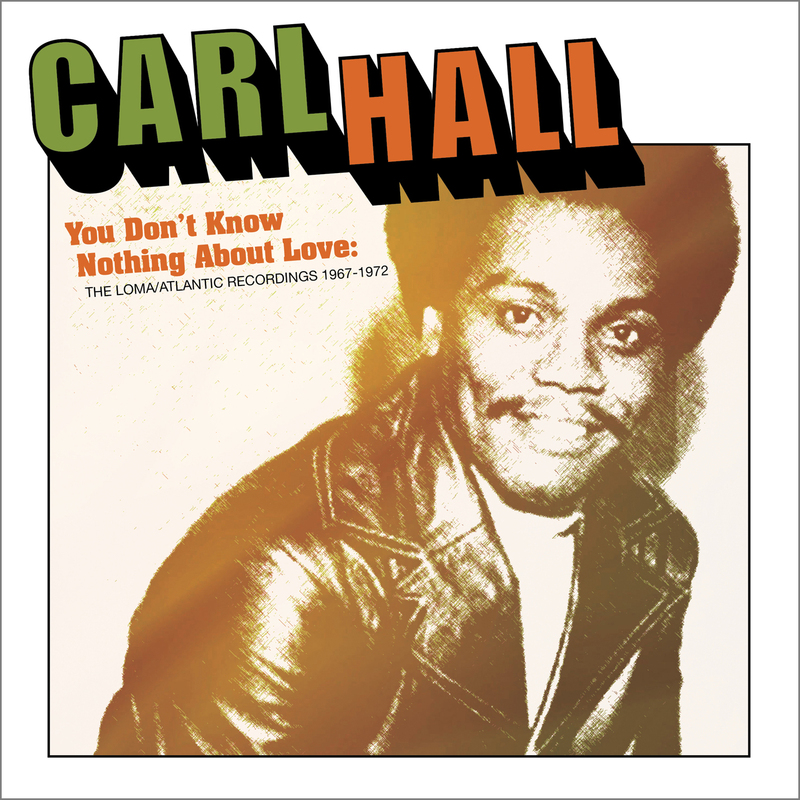 You Don’t Know Nothing About Love: The Loma/Atlantic Recordings 1967-1972 guarantees you’ll know about Carl Hall. And, make you wish it hadn’t taken so long to find out. All tracks previously unissued except *.